Storylab worked together with Dig & Serve to produce a fully interactive dining experience featuring projection mapping, locally sourced food, and a narrative that took diners to outer space. As part of Blue Zoo’s animated short films program, director Ben Steer took a unique approach to produce “Mamoon” by projecting animated characters onto 3D sets crafted from polystyrene blocks. Multidisciplinary filmmaker, Judy Suh, combines projection mapping with Korean alphabets to create a unique dining experience at San Soo Korean BBQ restaurant. Plants and sculptures come to life at the Video Mapping Festival, a festival that presents video mapping in all its forms: monumental, object, video game, immersive, and interactive. Interactive projection mapping performance directed by Nuno Barbosa for musician Júlio Resende’s new video “Fado Cyborg”. 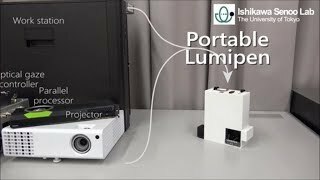 Ishikawa Senoo Laboratory developed Portable Lumipen, a portable dynamic projection mapping system that tracks a target at 1,000fps with 3ms response time. Cloud Pink is an interactive installation by Seoul-based creative Everyware (formed by Hyunwoo Bang and Yunsil Heo) that invites visitors to poke and prod a fabric screen, thereby causing a visual reaction in the projected simulation of wafting pink clouds. 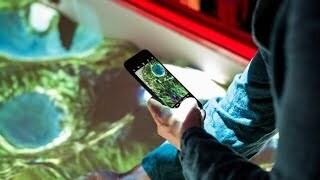 Located at London’s V&A Museum, Tellart’s Terraform table uses projection mapping to turn a giant sandpit into a vast aerial landscape of mountains, valleys, lakes and rivers.